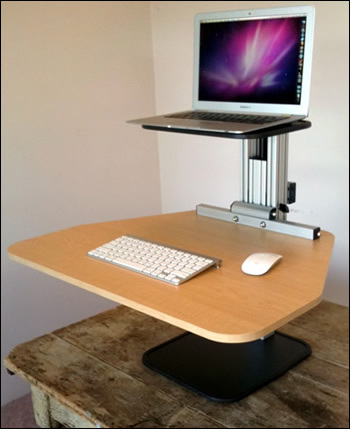 Ergodesktop's Kangeroo, an adjustable stand up desk. 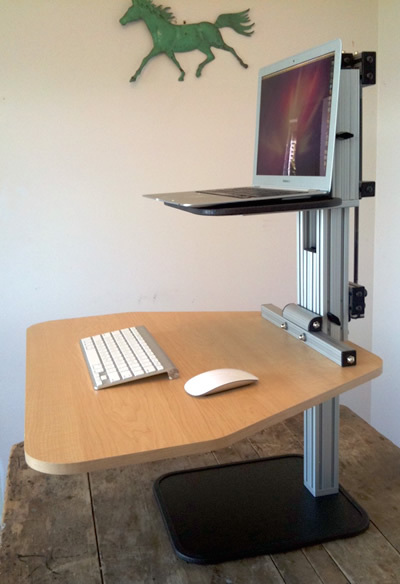 Adjustable height stand up desk and monitor holder. The maximum LCD monitor size for this model is 21", with a maximum weight of 12 Lbs, which makes it probably too small for older and heavier CRT monitors, but is fine for a laptop or contemporary LCD or LED screens. 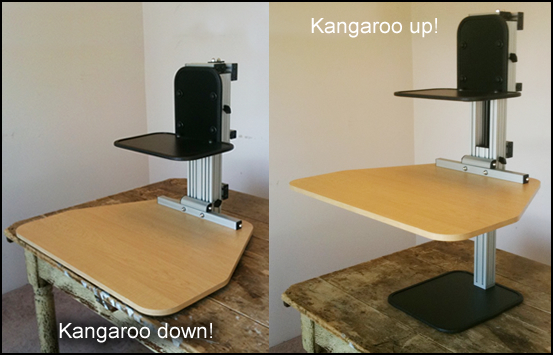 If you have a heavier monitor like an Apple Cinema Display or an iMac, Ergodesktop does offer Kustom Kangaroos where they will increase the carrying capacity of the stand with the appropriate nitrogen springs for an additional charge ($85.00). If you think your monitor might be too heavy, or have any questions at all, just email or call them. 5 Geeks out of 5 Geeks! I'm giving this 5 geeks, since it's a unique product that I really like. It's a great way to get started standing while you work, and to bring this functionality to your current desk or cubicle. Cons: you may need an upgraded unit in order to hold your monitor. Ergodesktop's Wallaby model starts at $359, with the Kangaroo at $459, the Kangeroo Pro with the VESA mount just 30 bucks more, and the dual monitor Elite about 100 bucks more than that. 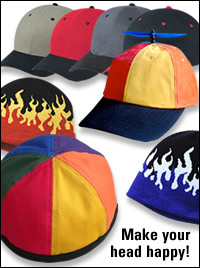 All of their products are fully assembled, and include free shipping in the USA, which I think is amazing, and they have an incredible money back guarantee... if you are not 100% satisfied, you can return the unit within 30 days for a full refund. Bravo. Standing tall... The Kangaroo holding a MacBook Air , Apple wireless keyboad and Magic Mouse. Talk about the Kangaroo in our Reviews Forum.